Welcome to day one of the 2-Week Food Challenge. Making healthy food choices should be easy, right? But we often don’t recognize all of the things put in our food that negatively affect our health in so many ways. We are surrounded by packaged and processed foods and sometimes we inadvertently get off track. 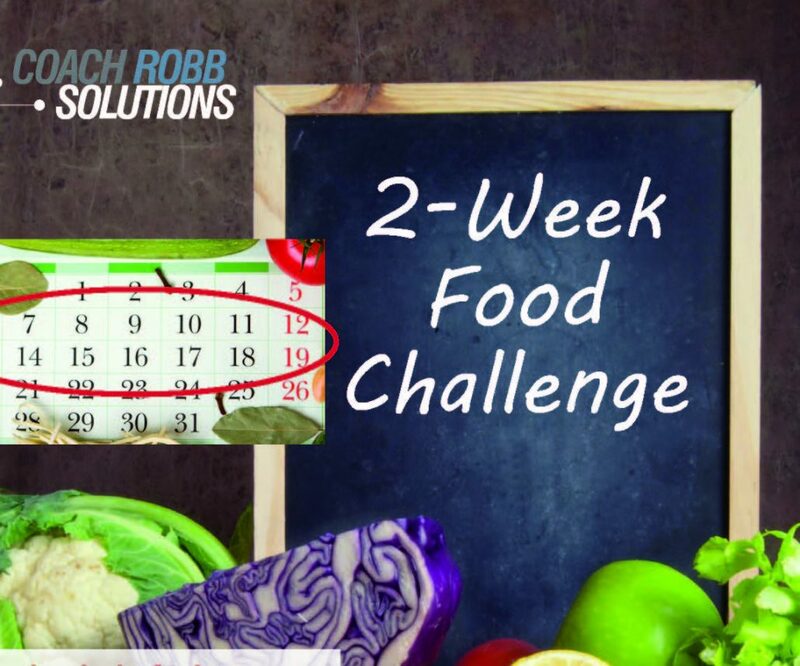 The 2-Week Food Challenge is designed to help you get clean – from the inside out – and get you back on track to leading the healthy lifestyle you deserve. Whether you are looking to shed a few pounds or increase athletic performance, the Challenge is a great way to “tune up” your body. Used once a quarter, the 2-Week Food Challenge will help you look better, sleep better, be more mentally focused, and feel more energized. 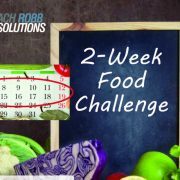 The 2-Week Food Challenge was created by Dr. Phil Maffetone, doctor and coach to six-time Ironman Hawaii winner Mark Allen. The Challenge will help stabilize your blood sugar levels and determine if you are carbohydrate intolerant (CI). CI is a common problem in many populations and the diseases associated with this condition are reaching epidemic proportions. Common symptoms of CI include sleepiness after meals, intestinal bloating, increased body fat, fatigue and others. Early stages of CI include elusive problems associated with blood-sugar handling, such as fatigue, intestinal bloating and loss of concentration. Middle stages include a more serious conditions including hypertension, elevations of LDL, lowering of HDL, elevated triglycerides, excess body fat and often obesity. Long term CI manifests itself as various diseases, including diabetes, cancer and heart disease. Final stages include a condition referred to as Metabolic Syndrome. This stage is includes disorders such as: hyperinsulinemia, Type 2 Diabetes, Hypertension, Obesity, Polycystic ovary, Stroke, Breast Cancer, Coronary Heart Disease, High Blood Cholesterol and Triglycerides. Please note, CI is individual to every person meaning it affects different people in different ways. The key to avoiding disease is to be aware of CI in its earliest stage and to make the appropriate diet and lifestyle changes. Common complaints that occur immediately after eating a meal or sometimes remain a constant symptom are evaluated in Step 1 of the 2-Week Food Challenge. Before you start, follow the six easy steps outlined here. Physical Fatigue – Overall feeling of fatigue; morning through lunch or even all day. Mental Fatigue – Inability to concentrate; loss of creativity, poor memory, poor grades, various forms of “learning disabilities.” This is more pronounced immediately after a meal or if a meal is delayed or missed. Blood Sugar Handling Issues -Fluctuations in blood sugar are normal during the day, but are amplified if meals are not eaten on a regular schedule. Feeling jittery, agitated and/or moody (symptoms that immediately subside once food is consumed). Craving for simple sugars, chocolate or caffeine; bouts of dizziness. Intestinal Bloating – Suffer from excessive gas; antacids or other remedies are not successful in dealing with the gas levels; gas tends to be worse later in the day and into the night. Sleepiness – Feel sleepy immediately after meals containing carbohydrates, particularly a pasta meal or meal that contains bread, potatoes or dessert. Increased Fat Storages & Weight – For more individuals, too much weight is too much fat. In males, abdominal fat is more evident and in females it is more prominent in the upper body, upper thighs and in the face. Increased Triglycerides – High triglycerides are not only found in overweight individuals. Individuals with high triglycerides are the direct result of carbohydrates from the diet being converted by insulin into fat. High Blood Pressure – Most individuals dealing with hypertension produce too much insulin and as a result are carbohydrate intolerant. For some, sodium sensitivity is common and eating too much sodium causes water retention along with elevated blood pressure. Depression – Because carbohydrate adversely affect the levels of neurotransmitters made in the brain, feelings of depression and/or sleepiness can result. Sugar has been promoted as if it is a stimulate, but in actuality, has the opposite effect. Addiction – Individuals who are addicted to alcohol, caffeine, cigarettes or other drugs often have many of the above mentioned symptoms. Open the Body Measurements spreadsheet and capture your numbers prior to starting the food challenge. If you do not have a Body Measurements spreadsheet, contact us to request your FREE copy. Click here to watch a video on how to correctly capture your body measurements for accuracy. Time to go shopping to stock up with what you will need tobget this challenge under way! Note: don’t consume anything on this list without prior approval from your NO EXCEPTIONS! Non American yellow cheese – look for hard cheeses like Swiss, Provolone, etc. Time to eat and train! As mentioned before, eat every two hours (even if you are not hungry). During the next two weeks, keep the majority of your workouts aerobic, which means eliminating any and all weight lifting (it is anaerobic by nature) and any strenuous workouts (above heart rate zone 2). You may find yourself falling off of the program, not because you intend to, but rather due to the realization that processed foods are everywhere. If you eat something that is not “approved” you need to start over and this is ok! Stay consistent with both your food and aerobic training. Maintain a food intake log along with a detailed training log – specifically energy levels, average and max heart rate with each workout. Now, let’s begin the challenge! If Diets Worked – Everyone Would Be Thin! Four Ways to Keep Fat Off Forever!